Come inside the Total Truck Centers™ garage as we take you through the installation of some of today’s hottest truck accessories In this episode, we install the Horizon Series Front and Rear Bumpers on a 2017 GMC Sierra 3500HD. Want to check out more about Ranch Hand? 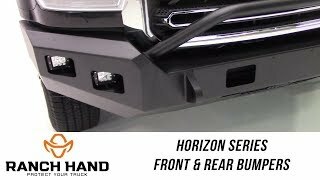 <p>Come inside the Total Truck Centers&#x2122; garage as we take you through the installation of some of today&#8217;s hottest truck accessories In this episode, we install the Horizon Series Front and Rear Bumpers on a 2017 GMC Sierra 3500HD. Proven in repeated testing to improve midrange power in a variety of GM trucks and SUVs (Escalade, Silverado, Sierra, and Yukon), the 200-639 throttle body spacer from AIRAID lengthens your system’s plenum to give your cylinders a greater volume of air to draw from. 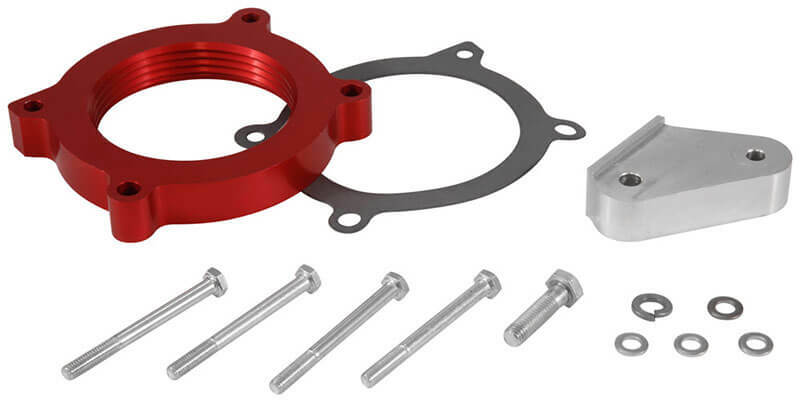 These throttle body spacers will increase off-idle torque from 800 to about 3,000 RPM thanks to their patented helix bore design that results in higher airflow and faster filling of each individual cylinder. Each 200-639 spacer is constructed from aircraft-grade 6061-T6 aluminum, and every kit includes all instructions and required gaskets, hardware, and brackets to maintain geometry with factory components. Made from aircraft-quality billet 6061-T6 aluminum. Improves low-end torque and throttle response. Includes gaskets, hardware, and precision brackets. 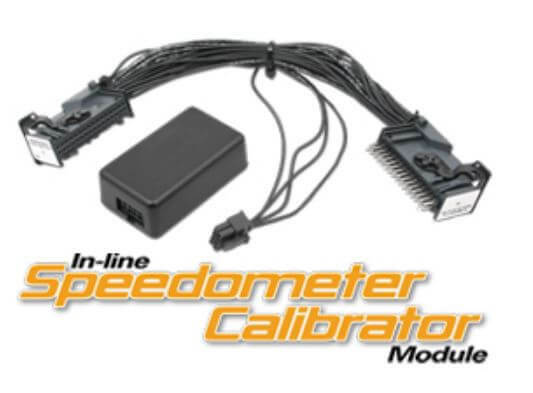 The plug-and-play In-Line Speedometer Calibrator Module from Hypertech corrects speedometers and odometers for non-stock tires or gear ratios. It’s perfect for vehicles with computers that don’t allow for correction of these elements, or to recalibrate for specs outside the range of programmers. Corrects speedometers and odometers for non-stock tires or gear ratios. All valid gear ratios supported. For tire sizes with a lower limit 50% of stock (no upper limit). 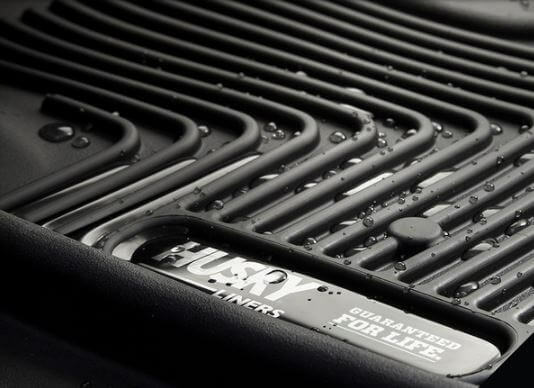 Punch it, slap it, flick it, kick it: X-act Contour floor liners from Husky Liners perfectly match the contours of your truck or SUV, combining indestructible strength with a soft, comfortable cushion. Add to that a premium look and some truly exclusive features, and you’ve got liner gold. Feel it for yourself! Fit 2014–2017 Sierra/Silverado 1500, plus 2015–2017 2500/3500 HD (all standard cab). Patented Form-fit Edge provides a finished look. Stay-put Cleats help prevent shifting. “An ounce of prevention is worth a pound of cure” is the name of the game when it comes to trail armor. Finding out how vulnerable your JKU’s rear corners are by smashing your taillight into a tree is more than enough to ruin your weekend—and your wallet. XHD Corner Guards from Rugged Ridge are built to protect your factory sheet metal from threats on and off-road. This product is tooled from super-strong 3mm-thick steel plate and molded to match the contours of your Jeep. On top of that is a heavy-duty textured black powdercoat that resists rocks, rust, and corrosion. Even better, unlike a lot of the competition, 11615.20 XHD Corner Guards fully surround your JKU’s taillights, defending against direct impacts that might crush lesser corner armor. Also available for JK (11615.21). Constructed from 3mm-thick steel plate with a textured black powdercoat. Fully surround taillights for complete protection. October 26, 2017 (JOHNSON CITY, Tenn.) — The AAM Group™, the largest program distribution group in the SEMA marketplace, is jointly announcing the 2017 SEMA project vehicle Renegade III: a 1974 Jeep CJ-5 that has been taken to the ground and reconstructed with modern enhancements any 1970s owner would have loved. Renegade III is being outfitted by the biggest names in the automotive aftermarket—most of them sponsoring manufacturers of the Total Truck Centers™ or Parts Pro™ jobber marketing program. The Jeep will make its exhibition debut at the SEMA Show in Booth SL08 in the South Hall, Lower Level. Renegade III was conceived, designed, and managed by AAM Program Sales Manager Greg Griffith and built by the Mancave Designs team. In addition to the modern upgrades, OE enhancements, and custom touches, the Jeep includes several “Hidden Mickeys”: Mickey Mouse silhouettes placed throughout the build. 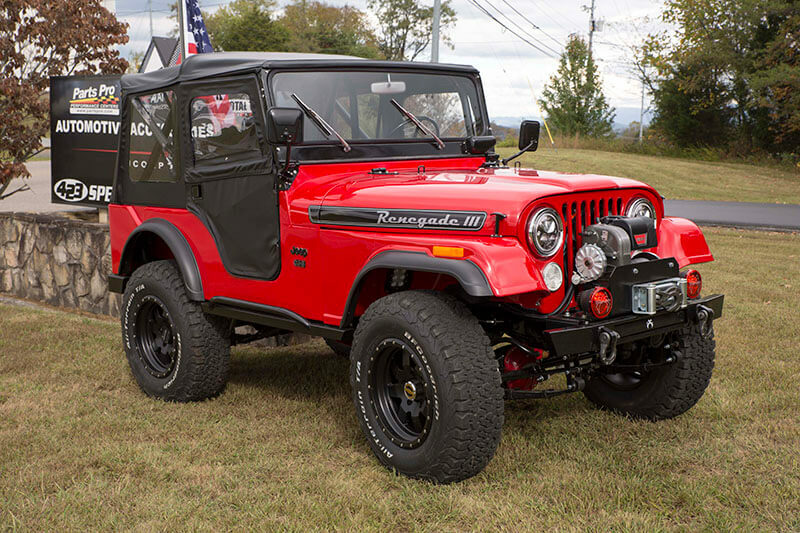 Griffith originally bought the Jeep as a modest cruiser for his wife, a former Disney cast member and enthusiastic fan, and Renegade III exists as both a salute to her and a one-of-a-kind vehicle that brings together two iconic brands. AutoMeter Products, Bestop, CURT, Driven Racing Oil, Edelbrock, Flex-a-lite, Flowmaster, Husky Liners, Motive Gear, MSD Performance, Omix-ADA, OPTIMA Batteries, Powermaster, Rancho, Scorpion Protective Coatings, TEN Factory, Vision X, and WARN. BFGoodrich, Clifford Performance, Harland Sharp, Hi-Lift, Kicker, Painless, Raceline Wheels, SPIDERWEBSHADE, Straub Technologies, and Tuffy. 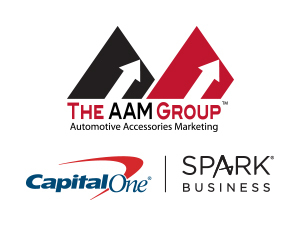 Total Truck Centers™ has teamed up with Capital One® Spark Business® to bring you the Spark® Cash credit card, which can allow you to earn unlimited 2% cash back on purchases for equipment, parts, advertising, and everything in between. Start putting thousands of dollars back into your business today! Plus, earn a one-time $500 cash bonus when you spend $4,500 on purchases within three months of account opening*. *Existing or previous Spark® cardholders may not be eligible for this one-time bonus. If you’ll be at the SEMA Show this year, T-Rex Grilles is giving you a chance to win a FREE X-Metal grille. Just take a picture of any vehicle with a T-Rex grille anywhere in Las Vegas for the duration of the show (October 31 to November 3, 2017). It can be at SEMA itself, on the strip, or even the parking lot of your favorite restaurant. Then post the photo on social media using the hashtags #trexsema2017 and #trexgrilles. The winner will be randomly selected and announced November 15 on the T-Rex Instagram page. Click the photo below for complete details! 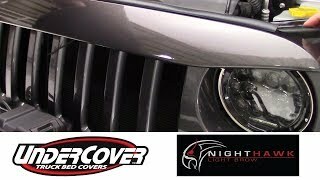 Come inside the Total Truck Centers™ garage as we take you through the installation of some of today’s hottest performance accessories In this episode, we welcome back Michael McLaughlin from UnderCover and install their NightHawk Light Brow on a 2016 Jeep Wrangler. Want to check out more about UnderCover? 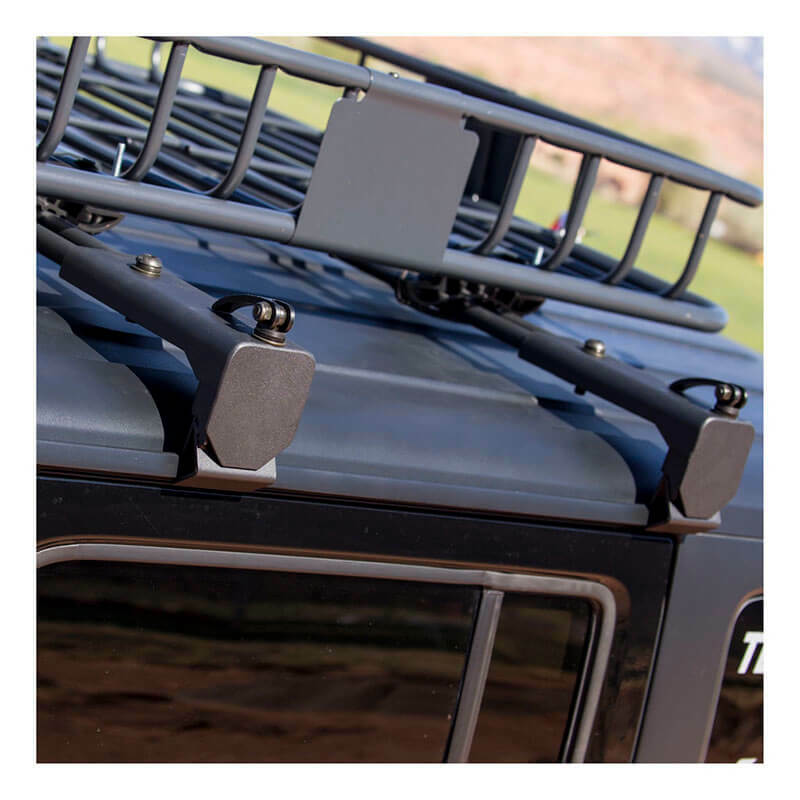 Roof cargo brackets from ARIES are a terrific way to add storage space to the top of your Jeep Wrangler. They go on with no-drill, quick-release clamps, and are made from welded steel reinforced with a durable black powdercoat to keep them off-road ready. 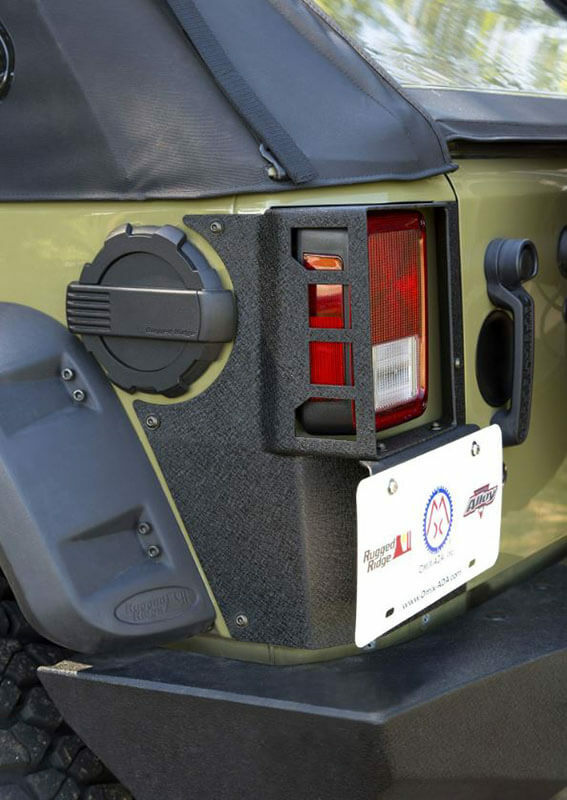 Full-width slotted channels give the 2070450 versatile attachment points for cargo carriers or straps to keep items stowed on top of your Wrangler, while the quick-release latches allow the brackets to be removed in seconds when not wanted. Full-width slotted channels for adjustable positioning. Welded steel with a carbide black powdercoat. Includes two brackets and mounting hardware.